Imagine . 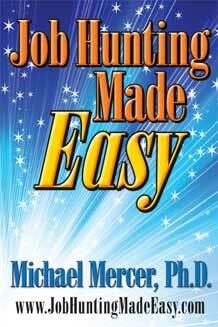 . . your job hunting method is + easy-to-use + efficient & productive + fun – yes, actually fun! – not a hodgepodge of things to do. You do first step. Then, do second step. And so on. How much easier can it get for you ? Good news for you = Most managers are lousy at evaluating applicants! You’ ll discover how to benefit from their ignorance. Sneaky – but ethical – way to get interviewers to tell you best answers to their questions! This entry was posted in books, Job Hunting. Bookmark the permalink.